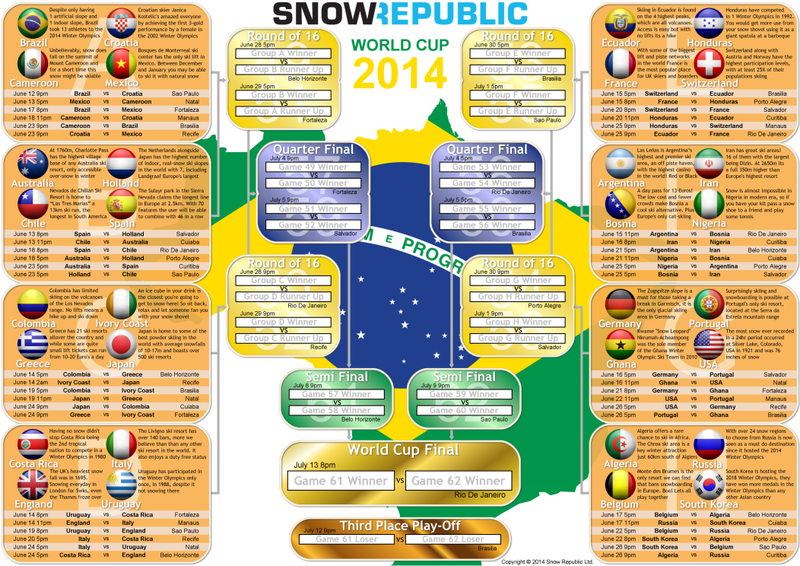 To help you get through both we’ve created a free World Cup wall chart with a difference. Instead of the usual football text we have fun snow sport trivia for all the countries taking part. This way you can watch the games and still get your snow fix. Download it now, it’s FREE. To download our A4 wall chart, click here. For our A3 wall chart, is available here. i see you’ve given England a new flag. England is NOT the United Kingdom.